Widely adopted by service providers to enable IP telephony, instant messaging, and other data services, SIP is the signaling protocol of choice for advanced multimedia communications signaling. Compiled by noted engineering experts Syed Ahson and Mohammad Ilyas, “SIP Handbook: Services, Technologies, and Security of Session Initiation Protocol” presents a thorough technical review of all aspects of SIP. It captures the current state of IP Multimedia Subsystem technology and provides a unique source of comprehensive reference material on this subject. “SIP Applications for Today and Tomorrow” – the scope of this volume ranges from basic concepts to future perspectives. Divided into three sections, the book begins with a discussion of SIP in peer-to-peer networks and then goes on to examine advanced media integration, migration considerations, mobility management, and group conferencing, while also reviewing home networking and compliance issues.The middle section of the book focuses on the underlying technologies of SIP. 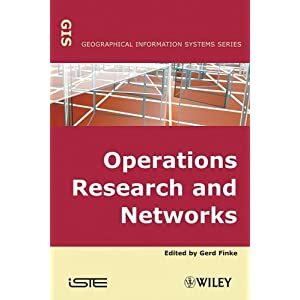 Chapters review network architecture, vertical handoffs, NAT traversals, multipoint extensions, and other areas at the forefront of research. Finally, the text examines various security vulnerabilities and provides perspectives on secure intelligent SIP services with a future outlook on a fraud detection framework in VoIP networks. Offering insights from International Researchers authored by 65 experts from across the world, this text is sure to advance the field of knowledge in this ever-changing industry and provide further impetus for new areas of exploration. Because of the editors’ pivotal influence and their proximity to both the current market and the latest science, this work is certain to become the definitive text on this emerging technology. Author BHEL, Bharat Heavy Electricals Limited. A one-stop guide to designing, operating, and protecting switchgears for electrical distribution systems, “The Handbook of Switchgears” offers electrical power engineers and technicians an authoritative guide to the basic design, operation, and protection of switchgears, including circuit breakers, transformers, relays, switches, and fuses. Containing contributions by 22 experts from Bharat Heavy Electricals Limited, the “Handbook of Switchgears” guides readers through switchgears for electrical power grids and industrial facilities, as well as for residential and commercial buildings. Readers will find up-to-the-minute information on circuit breaker technologies …GIS …current and voltage transformers …protective relays …energy metering …generator protection …EHV transmission system control and protection …and much more. Filled with over 100 helpful illustrations, this comprehensive resource features: complete details on low and medium voltage switchgears; state-of-the-art guidance on high voltage circuit breakers; new developments in surge protection technology; and proven guidelines for doing effective switchgear site work.Inside This Vital EE Reference are: Circuit Breaker Technologies; Low Voltage Switchgears; Medium Voltage Switchgears; High Voltage Circuit Breakers; GIS; Auto-Reclosers & Sectionalizers; Current Transformers and Voltage Transformers; Surge Protection; Protective Relays; Application of Medium Voltage Switchgears; Energy Metering; Control Schemes; Protection Schemes; Generator Protection; EHV Transmission System Control and Protection and much more. For undergraduates and professionals in computer science, computer engineering, and electrical engineering courses. Learn the fundamentals of processor and computer design from the newest edition of this award winning text. Four-time winner of the best Computer Science and Engineering textbook of the year award from the Textbook and Academic Authors Association, Computer Organization and Architecture: Designing for Performance provides a thorough discussion of the fundamentals of computer organization and architecture, covering not just processor design, but memory, I/O, and parallel systems.Coverage is supported by a wealth of concrete examples emphasizing modern RISC, CISC, and superscalar systems. The eighth revision has been updated to reflect major advances in computer technology, including multicore processors and embedded processors. Interactive simulations have been expanded and keyed into relevant sections of text. C : how to program, 6th ed. For introductory courses in C Programming. Also for courses in Programming for Engineers, Programming for Business, and Programming for Technology. The Deitels’ groundbreaking How to Program series offers unparalleled breadth and depth of object-oriented programming concepts and intermediate-level topics for further study. Using the Deitels’ signature “Live-Codea Approach,” this complete, authoritative introduction to C programming offers strong treatment of structured algorithm and program development in ANSI/ISO C with 150 working C programs. Includes rich, 300-page treatment of object-oriented programming in C++ that helps students interpret the code more effectively. A must-read for all RF/RFIC Circuit Designers. This book targets the four most difficult skills facing RF/RFIC designers today: impedance matching, RF/AC grounding, Six Sigma design, and RFIC technology. Unlike most books on the market, it presents readers with practical engineering design examples to explore how they’re used to solve even more complex problems. The content is divided into three key parts: individual RF block circuit design; basic RF circuit design skills; and RF system engineering. The author assumes a fundamental background in RF circuit design theory, and the goal of the book is to enable readers to master the correct methodology. The book includes treatment of special circuit topologies and introduces some useful schemes for simulation and layout. This is a must-read for RF/RFIC circuit design engineers, system designers working with communication systems, and graduates and researchers in related fields. Build your own electric vehicle, 2nd ed. “Save money on gas and turn your car into an electric and efficient machine. What really happened to the electric car? This completely revised and updated edition of the “bible of electric car books” gives you the component-by-component coverage you need to convert your gas-guzzler to a clean-running electric powered vehicle. The book begins with a history of electric vehicles and the latest international advances in EV technology, and goes on to describe every component – from motor to chassis – showing how to put them all together to create a working vehicle. “Low-Power Design of Nanometer FPGAs Architecture and EDA” is an invaluable reference for researchers and practicing engineers concerned with power-efficient, FPGA design. State-of-the-art power reduction techniques for FPGAs will be described and compared. These techniques can be applied at the circuit, architecture, and electronic design automation levels to describe both the dynamic and leakage power sources and enable strategies for codesign. Low-power techniques presented at key FPGA design levels for circuits, architectures, and electronic design automation, form critical, ‘bridge’ guidelines for codesign. This title presents comprehensive review of leakage-tolerant techniques that empowers designers to minimize power dissipation. It provides valuable tools for estimating power efficiency/savings of current, low-power FPGA design techniques. The Intel microprocessors : 8086/8088, 80186/80188, 80286, 80386, 80486, Pentium, Pentium Pro Processor, Pentium II, Pentium III, Pentium 4, and Core2 with 64-bit extensions : architecture, programming, and interfacing, 8th ed. For Introductory level Microprocessor courses in departments of Electronic Engineering Technology or Electrical Engineering.Keeping students on the forefront of technology, this timely text offers a practical reference to all programming and interfacing aspects of the popular Intel family of microprocessors. Organized in an orderly and manageable format that stimulates and challenges understanding, the text contains numerous example programs using the Microsoft Macro Assembler program, and provides a thorough description of each Intel family member, memory systems, and various I/O systems. High voltage engineering, 4th ed. This title examines insulating materials and their applications, breakdown phenomena in those materials, overvoltage phenomena in electrical power transmission systems, high voltage testing, and planning of high voltage laboratories. It is filled with charts and tables featuring information on vacuum insulation, composite insulation, and recent developments in the production and measurement of high voltages. Exploring Bioinformatics: A Project-Based Approach is intended for an introductory course in bioinformatics at the undergraduate level. Through hands-on projects, students are introduced to current biological problems and then explore and develop bioinformatic solutions to these issues. Each chapter presents a key problem, provides basic biological concepts, introduces computational techniques to address the problem, and guides students through the use of existing web-based tools and existing software solutions. This progression prepares students to tackle the On-Your-Own Project, where they develop their own software solutions. Topics such as antibiotic resistance, genetic disease, and genome sequencing provide context and relevance to capture student interest. Shape classification and analysis : theory and practice, 2nd ed. Author Luciano da Fontoura Costa, Roberto Marcondes Cesar, Jr. Shape analysis offers great potential for applications in diverse areas, from materials science to biology and neuroscience. Including numerical tools for characterization, this new edition presents the most advanced imaging techniques for the analysis of general biological shapes, such as cells, tissues, organs, and organisms. Various chapters review the main approaches for shape classification. Although focused on two-dimensional shapes, which are more effectively handled by current technology, the text also covers basic concepts and techniques for three-dimensional shapes. These methods offer a rich resource for the computational characterization and classification of biological shapes. Author Jeremy McAnally, Assaf Arkin with Yehuda Katz … [et al.]. The book offers detailed strategies for using Ruby in a large-scale environment. Readers are offered concrete examples of integration, messaging, Web development, and databases, all of which are presented in a clear problem/solution format. Practicing designers, students, and educators in the semiconductor field face an ever expanding portfolio of MOSFET models. In “Compact MOSFET Models for VLSI Design”, A.B. Bhattacharyya presents a unified perspective on the topic, allowing the practitioner to view and interpret device phenomena concurrently using different modeling strategies. Readers will learn to link device physics with model parameters, helping to close the gap between device understanding and its use for optimal circuit performance. Bhattacharyya also lays bare the core physical concepts that will drive the future of VLSI development, allowing readers to stay ahead of the curve, despite the relentless evolution of new models. This title adopts a unified approach to guide students through the confusing array of MOSFET models. It links MOS physics to device models to prepare practitioners for real-world design activities. It helps fabless designers bridge the gap with off-site foundries. It features rich coverage of: quantum mechanical related phenomena; Si-Ge strained-Silicon substrate; and, non-classical structures such as Double Gate MOSFETs. It presents topics that will prepare readers for long-term developments in the field. It includes solutions in every chapter. This title can be tailored for use among students and professionals of many levels. It comes with MATLAB code downloads for independent practice and advanced study. This book is essential for students specializing in VLSI Design and indispensible for design professionals in the microelectronics and VLSI industries. Written to serve a number of experience levels, it can be used either as a course textbook or practitioner’s reference. Access the MATLAB code, solution manual, and lecture materials at the companion website. ZigBee is a short-range wireless networking standard backed by such industry leaders as Motorola, Texas Instruments, Philips, Samsung, Siemens, Freescale, etc. It supports mesh networking, each node can transmit and receive data, offers high security and robustness, and is being rapidly adopted in industrial, control/monitoring, and medical applications. This book will explain the ZigBee protocol, discuss the design of ZigBee hardware, and describe how to design and implement ZigBee networks. The book has a dedicated website for the latest technical updates, ZigBee networking calculators, and additional materials. Dr. Farahani is a ZigBee system engineer for Freescale semiconductors Inc. The book comes with a dedicated website that contains additional resources and calculators. This book: provides a comprehensive overview of ZigBee technology and networking, from RF/physical layer considerations to application layer development; discusses ZigBee security features such as encryption; describes how ZigBee can be used in location detection applications; and, explores techniques for ZigBee co-existence with other wireless technologies such as 802.11 and Bluetooth. The book comes with a dedicated website that contains additional resources and calculators. Author James Floyd Kelly … [et al. ], editor. The creative minds behind The NXT STEP blog are back with a brand-new collection of innovative robots. Whether you’re just getting started with LEGO robotics or have been building and programming robots for years, “LEGO MINDSTORMS NXT One-Kit Wonders” is packed with new and exciting techniques, advice, and robots that guarantee awesome results. And best of all, you’ll only need one NXT Retail kit to build all ten of them! “LEGO MINDSTORMS NXT One-Kit Wonders” will make it simple for you to construct even the most complex of these ten robots, all while you learn the ins and outs of the NXT kit. You’ll learn to build and program: PunchBot, a robot that you program using old-fashioned punchcards M, a robot that sorts your M&M candies by color NXT Dragster, a super-fast racecar that will take you all the way to the drag strip BobBot, a versatile skid-steer loader, equipped with a ball grabber or demolition claw RoboLock, a security system for your robots The Hand, a robotic replacement hand to protect you from those dangerous cleanup jobs, like picking up your brother’s gym socks SPC, a robotic vehicle that can park itself between two objects using front-wheel drive The Bike, a two-wheeled robot that can balance and steer Armed with the knowledge you gain from this book, you’ll be inventing your own amazing creations in no time. “This book illustrates how MATLAB compact and powerful programming framework can be very useful in the finite element analysis of solids and structures. 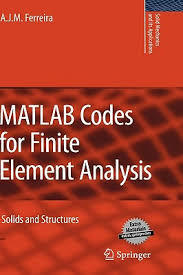 The book shortly introduces finite element concepts and an extensive list of MATLAB codes for readers to use and modify. The book includes areas that range from very simple springs and bars to more complex beams and plates in static bending, free vibrations and buckling problems. Beginning analog electronics through projects, 2nd ed. Analog electronics is the simplest way to start a fun, informative, learning program. “Beginning Analog Electronics Through Projects, Second Edition” was written with the needs of beginning hobbyists and students in mind. This revision of Andrew Singmin’s popular “Beginning Electronics Through Projects” provides practical exercises, building techniques, and ideas for useful electronics projects. Additionally, it features new material on analog and digital electronics, and new projects for troubleshooting test equipment. Published in the tradition of “Beginning Electronics Through Projects” and “Beginning Digital Electronics Through Projects”, this book limits theory to ‘need-to-know’ information that will allow you to get started right away without complex math. Commonly used electronic components and their functions are described briefly in everyday terms. This book is ideal for progressive learning, each of the projects builds on the theory and component knowledge developed in earlier chapters. Step-by-step instructions facilitate one’s learning of techniques for component identification, soldering, troubleshooting, and much more. This book includes instructions for using a general purpose assembly board. It presents a practical, enjoyable, useful approach to learning about electronics. It features twelve easy and useful projects designed to familiarize beginners and hobbyists with the most commonly used ICs. This is a concise solid state physics textbook written for undergraduate students majoring in materials science, electronics, or physics. It clarifies the philosophy underlying the various branches of solid state physics, explores the exciting and original ideas of great scientists, demonstrates the significance of the neat assumptions in theories, and exposes the complicated nature of solid state experiments. This book aims to guide students through a journey for the beauty amidst complexity, without missing the delicate thoughts contained in theories. 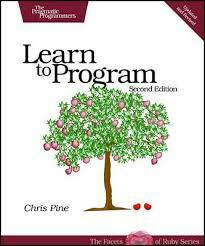 Learn to program, 2nd ed. Computers are everywhere, on every desk, in your iPod, cell phone, and PDA. To live well in the 21st century, you need to know how to make computers do things. And to really make computers do what you want, you have to learn to program. Fortunately, that’s easier now than ever before. Chris Pine’s book will teach you how to program. You’ll learn to use your computer better, to get it to do what you want it to do. Starting with small, simple one-line programs to calculate your age in seconds, you’ll see how to advance to fully structured, real programs. You’ll learn the same technology used to drive modern dynamic websites and large, professional applications. It’s now easier to learn to write your own computer software than it has ever been before. Now everyone can learn to write programs for themselves – no previous experience is necessary. Chris takes a thorough, but light-hearted approach that teaches you how to program with a minimum of fuss or bother. Written as a contribution to the accounting and auditing professions, this book links two key strategies for business improvement: information technology auditing and Sarbanes-Oxley compliance. Both require ethical accounting practices, focused auditing activities, a functioning system of internal control, and a close watch by the board’s audit committee and CEO. All of the concepts are reviewed in detail and reinforced with case studies which demonstrate the proper steps needed for complete analysis. “Principles of Statistics for Engineers and Scientists” offers the same crystal clear presentation of applied statistics as Bill Navidi’s “Statistics for Engineers and Scientists” text, in a manner especially designed for the needs of a one-semester course that is focused on applications. By presenting ideas in the context of real-world data sets and with plentiful examples of computer output, the book is great for motivating students to understand the importance of statistics in their careers and their lives. The text features a unique approach highlighted by an engaging writing style that explains difficult concepts clearly and the use of contemporary real world data sets to help motivate students and show direct connections to industry and research. While focusing on practical applications of statistics, the text makes extensive use of examples to motivate fundamental concepts and to develop intuition. Get ready to flex your creativity as you build custom Flash games online. Collaborative Online Game Creation shows anyone interested in game development how to create Flash-based games using GameBrix, a browser-based rich media application that runs on any Internet platform. GameBrix provides you with a comprehensive toolset to help you build games online. You’ll begin by working through the steps necessary to set up your GameBrix account and then get an introduction to the application. Once you’re comfortable, you’ll start creating your very own Flash games, following the step-by-step instructions, and adding animations, objects, and more as you progress through the book. You’ll even explore some introductory ActionScript programming concepts. Screenshots, graphics, game templates, and helpful tips and tricks will guide you through the game building process, and end-of-chapter summaries ensure you’ll understand all the concepts covered. Collaborative Online Game Creation provides you with everything you need to create and share browser-based Flash games. It even includes a 30-day trial subscription to the GameBrix portal so you can start building games right away. All you need to get started are some basic computer skills and a love of games. No previous programming experience required! Author Clive “Max” Maxfield [editor] with W. Bolton … [et al.]. All the design and development inspiration and direction a hardware engineer needs is in one blockbuster book! Clive ‘Max’ Maxfield renowned author, columnist, and editor of “PL DesignLine” has selected the very best FPGA design material from the Newnes portfolio and has compiled it into this volume. The result is a book covering the gamut of FPGA design from design fundamentals to optimized layout techniques with a strong pragmatic emphasis. In addition to specific design techniques and practices, this book also discusses various approaches to solving FPGA design problems and how to successfully apply theory to actual design tasks. The material has been selected for its timelessness as well as for its relevance to contemporary FPGA design issues. This book contains hand-picked content selected by Clive ‘Max’ Maxfield, character, luminary, columnist, and author. It contains proven best design practices for FPGA development, verification, and low-power. 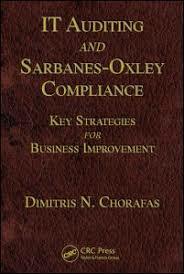 It includes case histories and design examples get you off and running on your current project. “Wireless Broadband” utilizes a reader-friendly approach to clearly explain the business, regulatory, and technology issues of the future market for wireless services. It covers broadband and the information society; drivers of broadband consumption; global wireless market analysis; broadband IP core networks; convergence; and, contention and conflict. Complemented with more than eighty illustrations, this book provides unparalleled insight into the emerging technologies, service delivery options, applications, and digital content that will influence and shape the next phase of the wireless revolution. This invaluable book offers a comprehensive overview of the technologies and applications of optoelectronic sensors. Based on the R&D experience of more than 70 engineers and scientists, highly representative of the Italian academic and industrial community in this area, this book provides a broad and accurate description of the state-of-the-art optoelectronic technologies for sensing. The most innovative approaches, such as the use of photonic crystals, squeezed states of light and microresonators for sensing, are considered. Application areas range from environment to medicine and healthcare, from aeronautics, space, and defence to food and agriculture. Written in a self-contained manner, this volume presents both the sensing methodologies and the fundamental of the various technologies, as well as their applications in the real world. This book offers a complete and systematic treatment of signal processing for VoIP voice and fax. This book presents a consolidated view and basic approach to signal processing for VoIP voice and fax solutions. It provides readers with complete coverage of the topic, from how things work in voice and fax modules, to signal processing aspects, implementation, and testing. Beginning with an overview of VoIP infrastructure, interfaces, and signals, the book systematically covers: Voice compression; Packet loss concealment techniques; DTMF detection, generation, and rejection; Wideband voice modules operation; VoIP Voice-Network bit rate calculations; VoIP voice testing; Fax over IP and modem over IP Country deviations of PSTN mapped to VoIP; VoIP on different processors and architectures; Generic VAD-CNG for waveform codecs; Echo cancellation; Caller ID features in VoIP Packetization – RTP, RTCP, and jitter buffer; Clock sources for VoIP applications; Fax operation on PSTN, modulations, and fax messages; Fax over IP payload formats and bit rate calculations; Voice packets jitter with large data packets; and, VoIP voice quality. Over 100 questions and answers on voice and more than seventy questions and answers on fax are provided at the back of the book to reinforce the topics covered throughout the text. Additionally, several clarification, interpretation, and discussion sections are included in selected chapters to aide in readers’ comprehension. “VoIP Voice and Fax Signal Processing” is an indispensable resource for professional electrical engineers, voice and fax solution developers, product and deployment support teams, quality assurance and test engineers, and computer engineers. 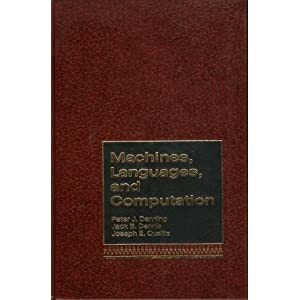 It also serves as a valuable textbook for graduate-level students in electrical engineering and computer engineering courses. Robotics: Control and Programming covers primary concepts of principal robotic subsystems. Physical structure of manipulator mechanisms have been presented lucidly in the introductory chapter. Main types of sensors and actuators are illustrated in simple terms. Manipulator Kinematics, differential motion, dynamics and control are presented mathematically with a number of numerical examples. Different methods of robot programming are briefly discussed. Essential industrial applications of robots have been classified and grouped in the last chapter. 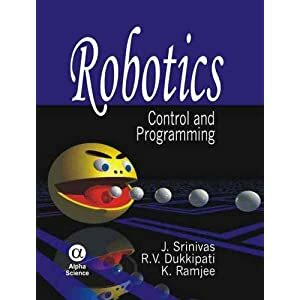 Programmatically prepared manuscript allows the reader understand concepts of robotics and the simulation programs given in each chapter help in verification of many exercise problems of the book. The logic book, 5th ed. This leading text for symbolic or formal logic courses presents all techniques and concepts with clear, comprehensive explanations, and includes a wealth of carefully constructed examples. Its flexible organization (with all chapters complete and self-contained) allows instructors the freedom to cover the topics they want in the order they choose. Author John Donovan [editor] with Cheryl Ajluni … [et al.]. This work provides all the design and development inspiration and direction an electronics engineer needs! John Donovan, Editor-in Chief, “Portable Design” has selected the very best electronic design material from the Newnes portfolio and has compiled it into this volume. The result is a book covering the gamut of electronic design from design fundamentals to low-power approaches with a strong pragmatic emphasis. In addition to specific design techniques and practices, this book also discusses various approaches to solving electronic design problems and how to successfully apply theory to actual design tasks. The material has been selected for its timelessness as well as for its relevance to contemporary electronic design issues.Features include: hand-picked content selected by John Donovan, Editor-in Chief, “Portable Design”; proven best design practices for low-power, storage, and streamlined development; and, case histories and design examples get you off and running on your current project. Embedded multiprocessors : scheduling and synchronization, 2nd ed. Author Sundararajan Sriram, Shuvra S. Bhattacharyya. This title presents techniques for optimizing multiprocessor implementations of signal processing applications. An indispensable component of the information age, signal processing is embedded in a variety of consumer devices, including cell phones and digital television, as well as in communication infrastructure, such as media servers and cellular base stations. Multiple programmable processors, along with custom hardware running in parallel, are needed to achieve the computation throughput required of such applications. This title reviews important research in key areas related to the multiprocessor implementation of multimedia systems.”Embedded Multiprocessors: Scheduling and Synchronization, Second Edition” presents architectures and design methodologies for parallel systems in embedded digital signal processing (DSP) applications. It discusses application modeling techniques for multimedia systems, the incorporation of interprocessor communication costs into multiprocessor scheduling decisions, and a modeling methodology (the synchronization graph) for multiprocessor system performance analysis.The book also applies the synchronization graph model to develop hardware and software optimizations that can significantly reduce the interprocessor communication overhead of a given schedule. It chronicles recent activity dealing with single-chip multiprocessors and dataflow models. This edition updates the background material on existing embedded multiprocessors, including single-chip multiprocessors. It also summarizes the new research on dataflow models for signal processing that has been carried out since the publication of the first edition. Harness the power of multiprocessors. This book explores the optimization of interprocessor communication and synchronization in embedded multiprocessor systems. It shows you how to design multiprocessor computer systems that are streamlined for multimedia applications. The essential guide to video processing, 2nd ed. This comprehensive and state-of-the-art approach to video processing gives engineers and students a comprehensive introduction and includes full coverage of key applications: wireless video, video networks, video indexing and retrieval and use of video in speech processing. Containing all the essential methods in video processing alongside the latest standards, it is a complete resource for the professional engineer, researcher and graduate student. It includes numerous conceptual and numerical examples. All the latest standards are thoroughly covered: MPEG-1, MPEG-2, MPEG-4, H.264 and AVC. It provides coverage of the latest techniques in video security. ‘Like its sister volume “The Essential Guide to Image Processing”, Professor Bovik’s “Essential Guide to Video Processing” provides a timely and comprehensive survey, with contributions from leading researchers in the area. Highly recommended for everyone with an interest in this fascinating and fast-moving field’ – Prof. Bernd Girod, Stanford University, USA. This title is edited by a leading person in the field who created the IEEE International Conference on Image Processing, with contributions from experts in their fields. Fiber optic sensors, 2nd ed. Author edited by Shizhuo Yin, Paul B. Ruffin, Francis T.S. Yu. TCP/IP sockets in C : practical guide for programmers, 2nd ed. Author Michael J. Donahoo, Kenneth L. Calvert. The Internet allows computers thousands of miles apart to exchange information through programs such as Web browsers, and nearly all of these programs gain access to network communication services through the sockets programming interface. “TCP/IP Sockets in C: Practical Guide for Programmers” is a quick and affordable way to gain the knowledge and skills needed to quickly develop sophisticated and powerful web-based applications. Written by two experienced networking instructors, the book’s focused, tutorial-based approach enables the reader to master the tasks and techniques essential to virtually all client-server projects using sockets in C. Programming concepts are introduced through simple, real-world examples, and are accompanied by line-by-line code commentary that describes the purpose of each part of the program. The book’s companion website also contains myriad employable examples of command-based source code discussed throughout the text.A great deal has changed in the 6 years since the first edition of this book was published. The widespread adoption of IPv6 has led to a new standard for internetworking and the exponential increase of computer processing power have enhanced the efficacy and scope of electronic espionage. Therefore, this edition has amended and expanded outdated sections in accordance with both new advancements and dangers. The book now explains both the IPv6 and IPv4 address schemes as well as how to do sockets programming in the mixed IPv6/IPv4 networks environment. It also details defensive programming strategies in the context of building security-aware distributed systems, and introduces the select() system call from a performance and predictability perspective in large systems.In summary, the book provides both a general overview of networking concepts to allow readers to synchronize the concepts with terminology, while providing a springboard to more advanced networking topics through the basic application of the latest technological developments. No other resource presents so concisely and effectively the material necessary to get up and running with C sockets programming. This work includes completely new and expanded sections that address the IPv6 network environment, defensive programming, and the select() system call, thereby allowing the reader to program in accordance with the most current standards for internetworking.Streamlined and concise tutelage in conjunction with line-by-line code commentary allows readers to quickly program web-based applications without having to wade through unrelated and discursive networking tenets. This work grants the reader access to online source code, which the can then be used to directly implement sockets programming procedures. The Library is open from 8AM-5PM with lunch break, Monday to Friday. Library service starts on April 13 and ends on May 18, 2010.